You can see my “Valentine Diner” photograph in the center of this ten-second video of Art Gras 2017, a juried art show in Leawood, Kansas. The action is at 4x normal speed, I’m guessing. After I watched the video several times looking for people I know, I saw myself in the first aisle closest to the camera. My daughter appeared briefly later. It’s our ten seconds of fame. When you read a photographer’s biography on a website, you will often find the phrase “passion for photography.” It might seem trite, especially when you read it over and over. But it’s absolutely true. How else can you describe the overwhelming need to take photographs. The reason for the passion differs, perhaps, but the drive is the same. Many photographers describe this urge, mania or whatever it is as beginning as soon as they knew what a camera was. The evolution of photography with a camera built into a phone makes it easier to feed this passion. A different passion is showing your art in galleries and art shows, which I’ve done the last few years. 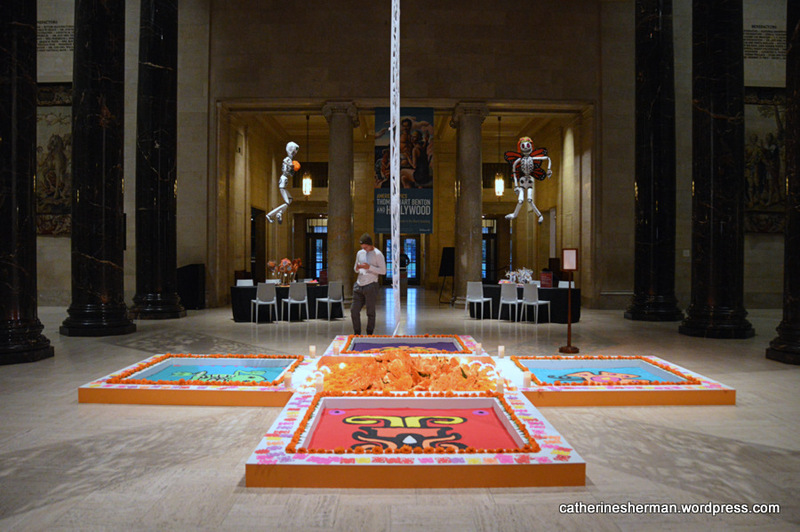 I’ve included a few photographs of my adventures in the Kansas City art show world. I’m not as enthusiastic about entering art shows as some are. I only enter local shows. Some people enter shows throughout the country, which means shipping your work, not an easy task. That’s dedication. One of the best parts of being in this art world is the many wonderful friends that you make. They are also very inspiring. My Photographs in 2017 Arti Gras Juried Art Show, Leawood, Kansas. “Valentine Diner” won first place in photography. Here a man enjoys reading a book in a quiet corner of Corinth Library where my photographs are on display. A photography group I belong to displayed some of the member photographs in the library, which is a branch of the Johnson County Library. The Johnson County Library displays a wide range of art in changing exhibitions. 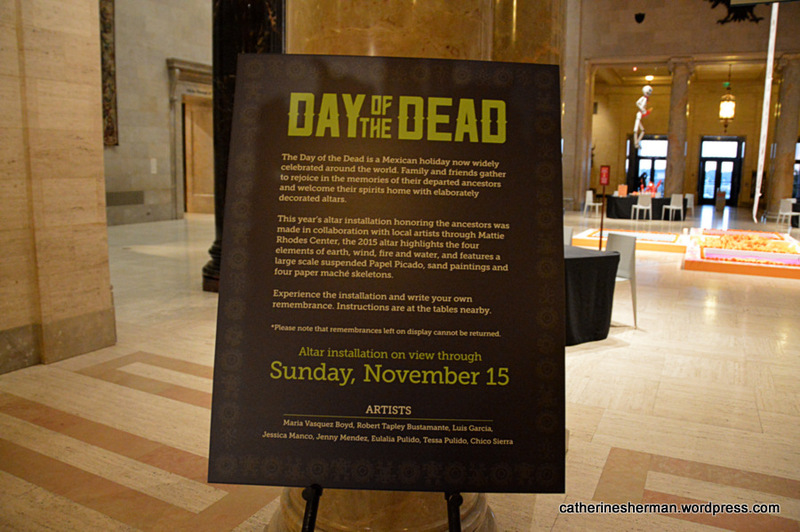 Many art shows give patrons the opportunity to vote for their favorite artwork. 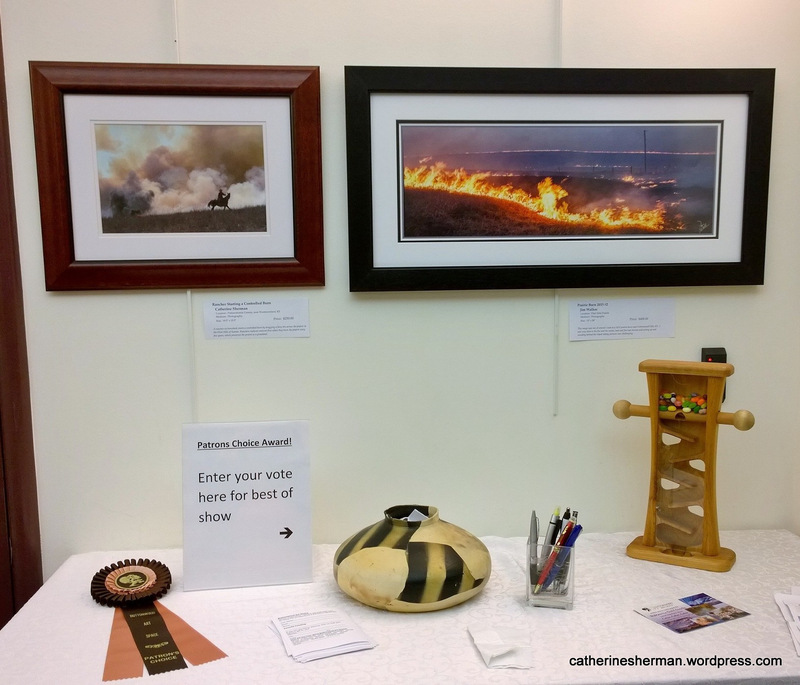 My photograph of a “Rancher Starting a Controlled Burn” is on the left at the Buttonwood Art Space in Kansas City, Missouri. Perhaps being displayed over the ballots gave my photograph an advantage, because it won the “Patrons Choice” award in 2015 for “Visions of the Flint Hills.” Buttonwood Art Space has supported the Flint Hills area of Kansas and its through an annual art benefit featuring art of this essential grassland prairie. My photography has been accepted in several local art shows, including Arti Gras, Leawood, Kansas; the “Visions of the Flint Hills” exhibit at Buttonwood Art Space, Kansas City, Missouri; “Art at the Center’s National Juried Exhibition” in Overland Park, Kansas; and “State of the Arts” juried art show in Prairie Village, Kansas. My work has been featured at the Overland Park galleries of InterUrban ArtHouse and Images Art Gallery, where I was a member and now continue as an associate. My photography was part of an exhibition in 2016 at the Corinth branch of the Johnson County Public Library. Additionally, I have art piled up all over my house! The first time I entered “Valentine Diner” was the 2016 annual juried “State of the Arts” show in Prairie Village, Kansas. Only one artwork from each artist is accepted and it must have been produced within the two previous years. The juried exhibit is on display in the R.G. Endres Gallery every October. The photograph of the “Blue Swallow Motel” on the left is by my friend Marla Craven. Some of my worst photos — fuzzy, overexposed, etc — I’ve taken at art shows. It’s hard to take photos when you’re holding a glass of wine and clutching a program. But I still want to document the event. Here, William Rose, a fantastic artist, announces the winners of the 2016 “Art at the Center” annual juried art show. Rose was the juror for the show. I also exhibit online, where I’ve “met” and discovered thousands of brilliant artists and photographers. One of my favorites is Fine Art America. My website is Catherine Sherman on Fine Art America. Another favorite is RedBubble, where I can found at Catherine Sherman on RedBubble. 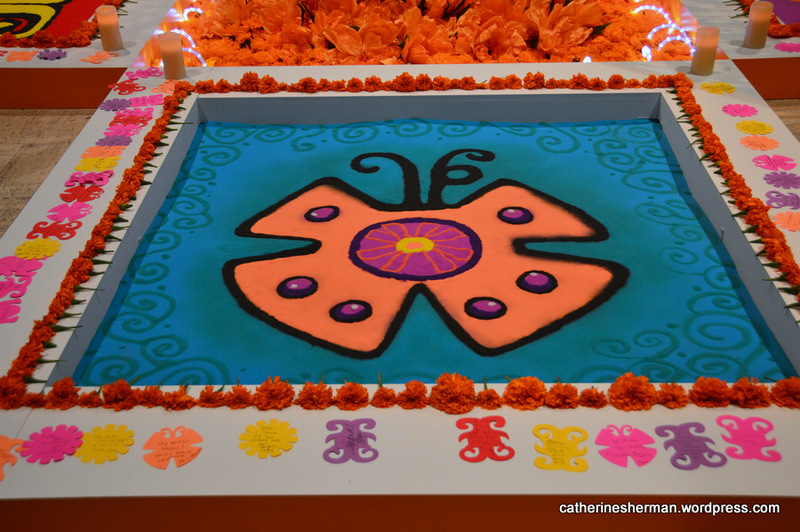 You can find all of my work, including greeting cards and products on such sites as Zazzle and Greeting Card Universe gathered on my website: Catherine Sherman Website. Part of my featured artist exhibit at Images Art Gallery in Overland Park, Kansas, in June 2016. My photographs of night views of Kansas City iconic features, which was on display at Images Art Gallery, Overland Park, Kansas, in 2016. Some of my greeting cards available for sale at Images Art Gallery, 7320 W. 80th Street, Overland, Park, Kansas. A tour of Images Art Gallery when I was featured artist June to July 2016. 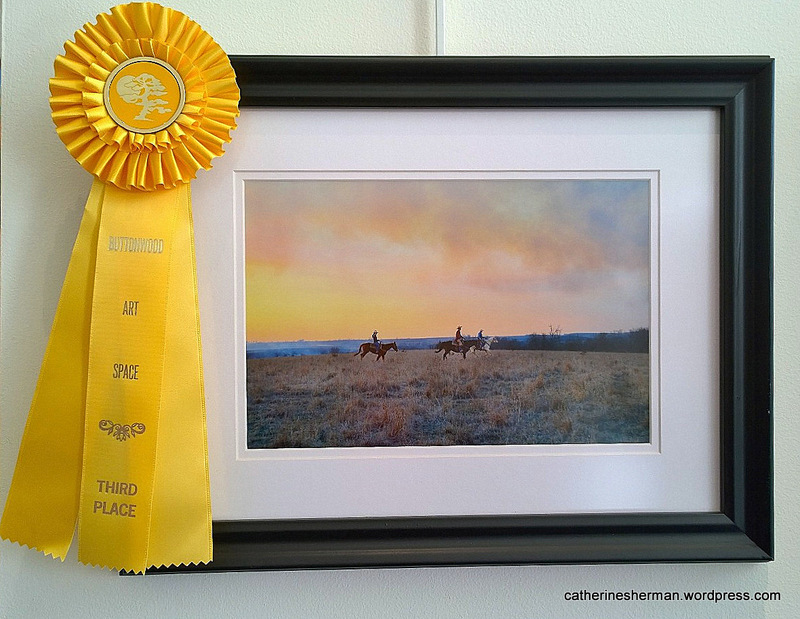 My third-place ribbon in photography in the 2015 Visions of the Flint Hills art show at the Buttonwood Art Space in Kansas City, Missouri. I started entering art shows this year. Got in some, shut out of others. My latest entries were for the Visions of the Flint Hills show at the Buttonwood Art Space, 3013 Main St., Kansas City, Missouri, which runs through November 27, 2015. This time, two of my photographs were accepted, and one earned a third-place ribbon in photography. Hurrah! 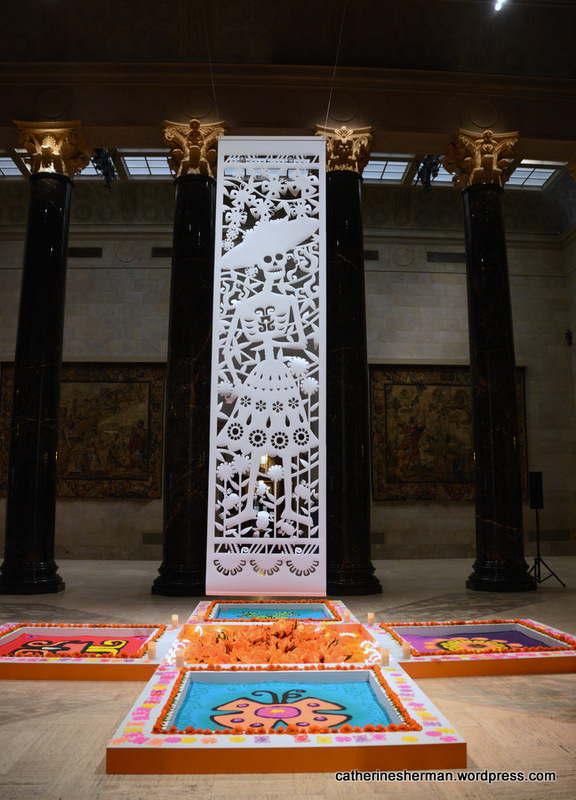 The opening event was part of Kansas City’s First Fridays art walk. But the real story isn’t about me, but the gorgeous Flint Hills of Kansas, which is the true star of the art and photography show. For seven years Buttonwood Art Space has supported the Flint Hills area of Kansas and its unique place in our greater regional ecosystem through this annual art benefit. Visions of the Flint Hills Art Benefit and Sale is a juried exhibit featuring art of the Flint Hills. Sweeping paintings of sky and native prairie grass dominate the show, but sculpture pieces, fiber works and photos are also featured. The art is on exhibit October and November, in Buttonwood Art Space. Proceeds from the event will benefit a non-profit organization, Friends of the Konza Prairie, a 501(c)3 organization which is involved in supporting the Konza Prairie, an 8,600 acre research and educational preserve south of Manhattan, Kansas. The Flint Hills are the continent’s largest remaining tract of Tallgrass native prairie which is also one of America’s unique places. This unique geographic area once swept over 170 million acres of North America and was home to huge herds of buffalo and elk. It is now a vanishing area. It harbors a wealth of adventure, beauty, and history. The region’s sweeping horizons and carpets of wildflowers captivate artists and enchant visitors. I took these photographs at a photography workshop at the Cowboy Way Ranch near Westmoreland, Kansas, organized by Craig McCord and Jason Soden. My photographer friend Lynn told me about it and drove us there, so without these photographers, I wouldn’t have experienced this prairie burn. I am in their debt. My photo, of a Kansas Rancher Starting a Controlled Burn, is on the left. The photo on the right shows a controlled prairie burn at night. Art patrons can choose a best of show. Voting continues! “At sunset, three riders hurry to an area to be burned in the Flint Hills of Kansas. Smoke already fills the skies and plumes rise in the valley beyond. Ranchers replicate natural fires when they burn the prairie, which preserves the grassland.” I was sitting on a flatbed trailer, bumping up a hill as the truck made its way to the next burn area, when I saw these three riders. It was smoky, it was getting dark dark, it was hard to focus and steady my hand, but I did get this one shot. The rider in back holds onto her hat as they race across the prairie. The hat had flown off her head on another day, so she was taking no chances. “A rancher on horseback starts a controlled burn by dragging a fiery tire across the prairie in the Flint Hills of Kansas. Ranchers replicate natural fires when they burn the prairie every few years, which preserves the prairie as a grassland.” This happened so fast that I almost missed it. Several others at the workshop captured it, too. One of the sights I most wanted to see on a visit in July 2014 to St. Petersburg, Russia, was the reconstructed Amber Room in Catherine Palace. The original Amber Room was stolen by the Nazis in 1941, but the room was painstakingly reconstructed from black and white photographs and re-installed in 2003, with funds from German patrons. It’s a magnificent room, and I wish I could have lingered longer. My husband and I were on a tour, and we moved quickly through the beautiful rooms of the splendid Catherine Palace. I had just enough time to take the above photo of a corner of The Amber Room, which shows how the pieces of amber are fitted together. The Amber Room was on a long list of artworks that Adolph Hitler wanted looted from throughout Europe for a Third Reich Art Museum. In 1941, the Nazis dismantled and removed The Amber Room from Catherine Palace in the town of Tsarskoye Selo near St. Petersburg. They trashed most of what was left of the Catherine Palace, which has also been restored with some work left to be done. Although one mosaic from the Amber Room turned up at auction and was used to help in the reconstruction, the rest of the room hasn’t been seen since. Art experts fear that the delicate pieces of the room didn’t survive. Below is a story about a man who is hot on its trail. I hope he finds the magnificent Amber Room. 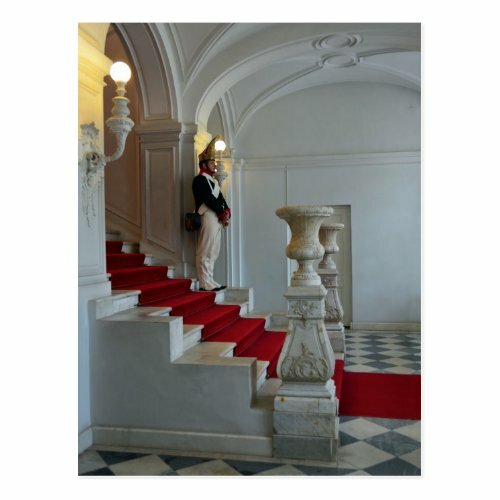 Guard at the Catherine Palace. 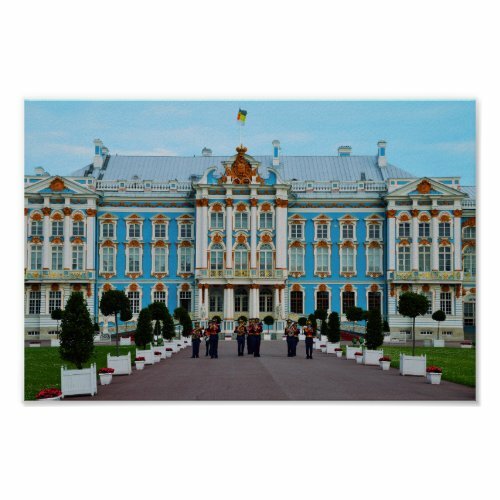 Military Band Greets Visitors to Catherine Palace. Watch this National Geographic Video about the History of The Amber Room. Wikipedia: About the Amber Room. BERLIN (Reuters) – A pensioner has started digging in Germany’s western Ruhr region for the Amber Room, a priceless work of art looted by Nazis from the Soviet Union during World War Two and missing for 70 years, but says he needs a new drill to help him. Dubbed the Eighth Wonder of the World, the Amber Room was an ornate chamber made of amber panels given to Czar Peter the Great by Prussia’s Friedrich Wilhelm I in 1716. German troops stole the treasure chamber from a palace near St Petersburg in 1941 and took it to Koenigsberg, now the Russian enclave of Kaliningrad, before it disappeared. Conspiracy theories abound about the whereabouts of what some say is the world’s most valuable piece of lost art. Some historians think it was destroyed in the war, others say Germans smuggled it to safety. Now 68-year-old pensioner Karl-Heinz Kleine says he thinks the chamber is hidden under the town of Wuppertal, deep in western Germany’s industrial Ruhr area. After analyzing the evidence, Kleine has concluded that Erich Koch, who was the Nazis’ chief administrator in East Prussia, may have secretly dispatched it to his home town. “Wuppertal has a large number of tunnels and bunkers which have not yet been searched for the Amber Room. We have started looking in possible hiding places here,” Kleine said. “But the search is very costly. We need helpers, special equipment and money,” Kleine told Reuters, adding that a building firm which had lent him a drill had asked for it back. “I only have a small pension, a new machine is too expensive for me. 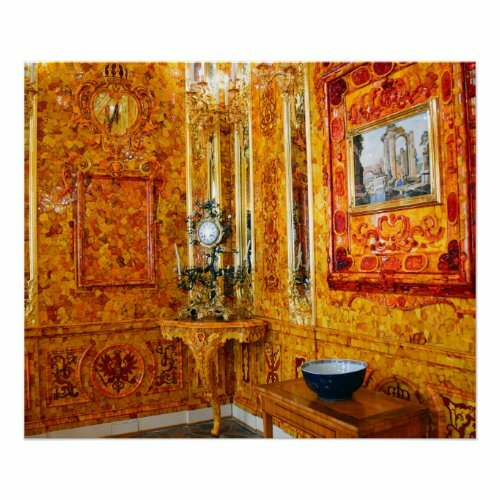 But whoever helps will get his share of the Amber Room when we find it,” he told Reuters. “I am optimistic. I just need the tools, then it could go quickly,” he said. Even Communist East Germany’s loathed Stasi secret police tried and failed to find the Amber Room. Hobby treasure hunters have launched expensive searches for it across Germany, from lake bottoms to mines in the eastern Ore Mountains. But in vain. Historians say Erich Koch, convicted of war crimes by a Polish court, amassed a hoard of looted art and had it transported west from Koenigsberg in the final months of the war as the Soviet forces drew closer. Russian craftsmen, helped by German funds, have recreated a replica of the Amber Room at the Catherine Palace from where the original was stolen. 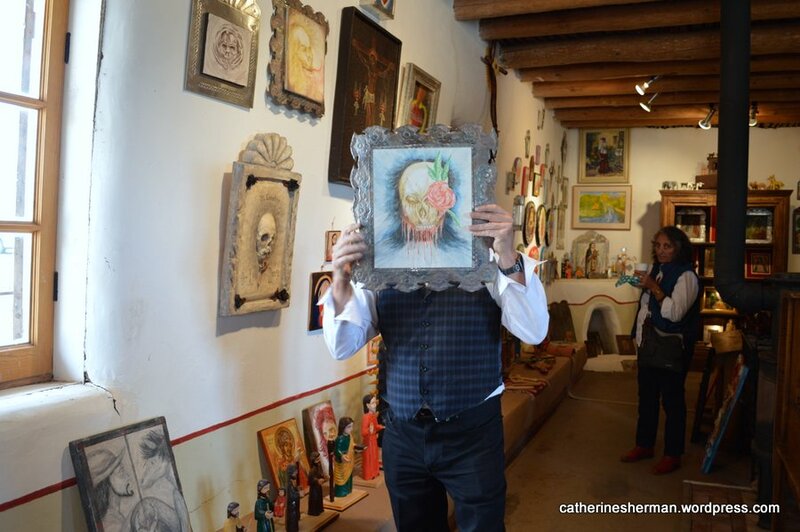 Rey Montez is a handsome man, but you’ll have to visit his gallery in Truchas, New Mexico, to see for yourself. He doesn’t like to be photographed! 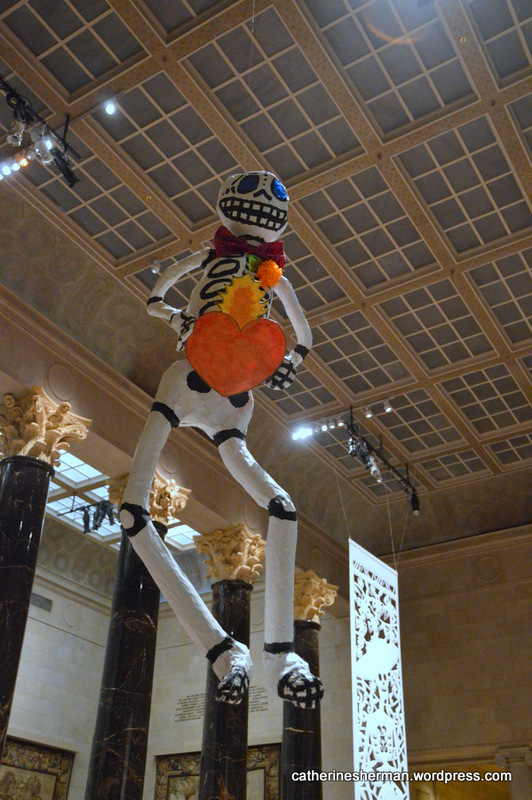 His Montez Gallery showcases a variety of art, including Spanish colonial art, religious art and contemporary art. On our recent photography tour, Lynn S. and I were heading to Taos, New Mexico, on the High Road on Easter Sunday, not thinking any galleries or shops would be open, but still hopeful. If all doors were shut, there would always be the gorgeous mountain scenery to photograph and maybe the exterior of a church. Apple trees were in bloom. An occasional lilac bush was a burst of purple along the road side. 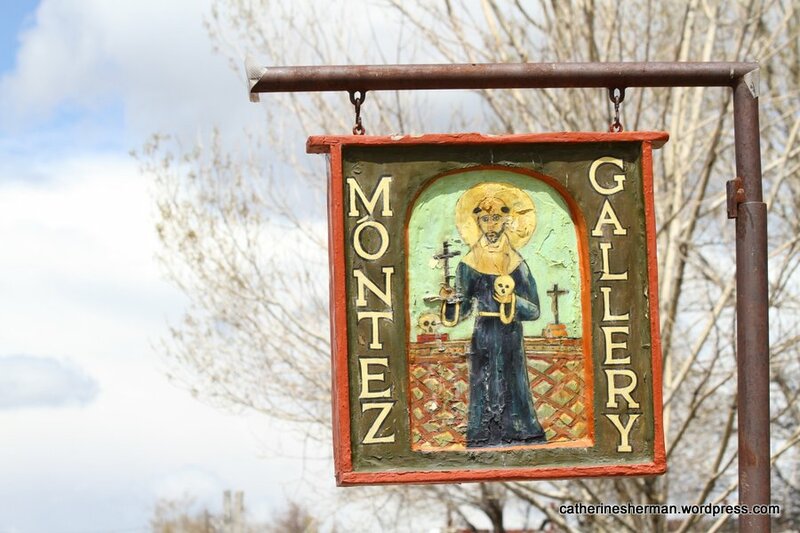 The Montez Gallery occupies an old church in Truchas, New Mexico. 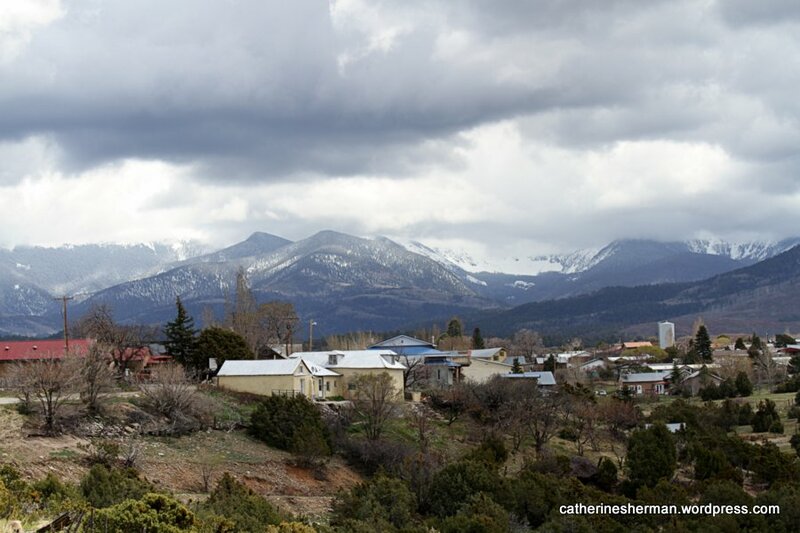 We entered the little mountain town of Truchas, (Lynn at the wheel at the wheel of her car; I feel bad for not doing any driving…) on the lookout. 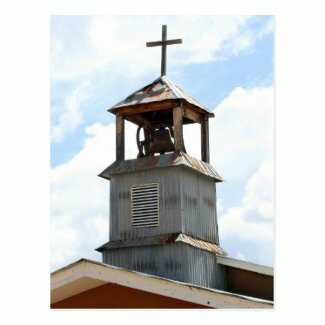 We saw a little adobe church with a tin roof and tin bell tower. A sign said: The Montez Gallery. The church was now a gallery. Cars were in the parking lot. Could it be open? 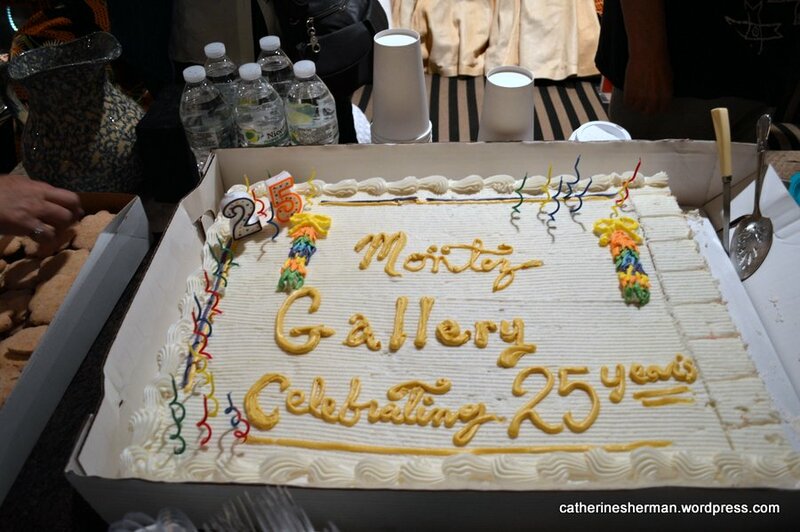 The Montez Gallery celebrated its 25th year in 2014. The gallery is in an old church in Truchas, New Mexico. Not only was the Montez Gallery open, but there was a reception for the gallery’s 25th year. Cake, coffee, cookies! The owner, Rey Montez, told guests about the art featured in his gallery and the history of the people in the area. His family has been in northern New Mexico for centuries. You can read more about him, the gallery and collectors in the links below. Many notable people have made the same stop at the Montez Gallery. 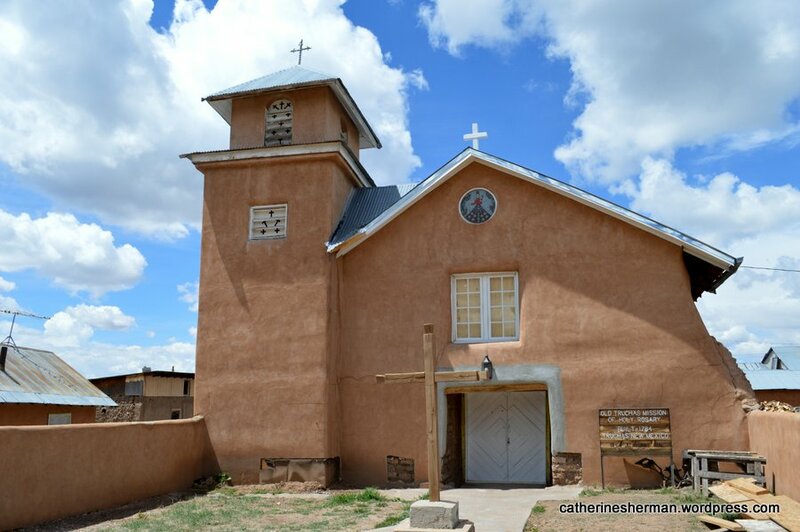 Nuestra Señora del Rosario (Holy Rosary) Mission Church was built in 1764 in Truchas, New Mexico. It is open in June, July and August. We also found an old mission church in Truchas, Nuestra Señora del Rosario (Holy Rosary) Mission Church, which was built in 1764. It’s open in June, July and August. We visited the town in April, so we weren’t able to go inside to see the two large altar-screens (reredos) by the renowned santero Pedro Antonio Fresquis. 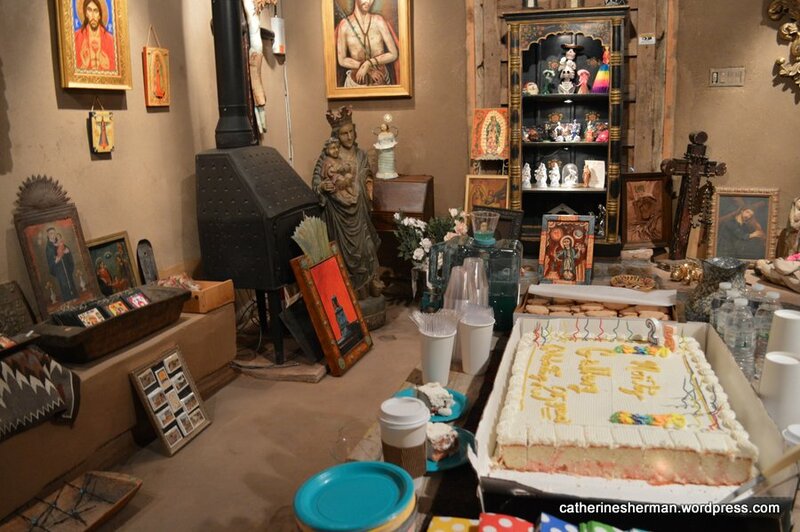 Cake, coffee and cookies for 25th anniversary of The Montez Gallery. Truchas was established by a Spanish Royal Land grant in 1754. The full name of the town is Río de las Truchas, which means “river of trout.” The first settlers built irrigation ditches from the trout-filled river to bring water to the town, which is at an elevation of 8,000 feet. Truchas is mentioned in Willa Cather’s 1927 novel “Death Comes for the Archbishop”; Book Two Chapter 2. Robert Redford’s “The Milagro Beanfield War” (1988) was filmed on location in Truchas. Several Truchas residents had roles in the movie. Here is a view of Truchas, New Mexico, just off of the road through the town, showing Truchas Peak. 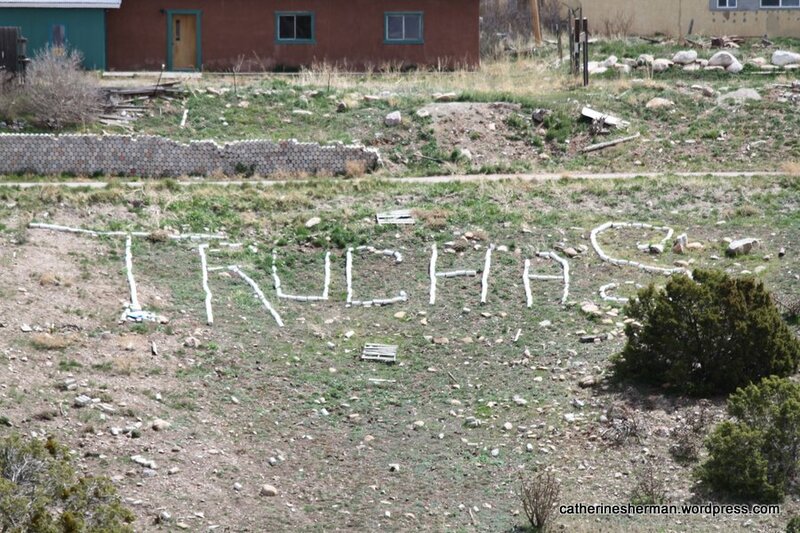 On a hillside, stones spell out the name of the city of Truchas. The Montez Gallery is in an old church. Here’s the church bell tower. About Móntez Gallery, Part One. About Móntez Gallery, Part Two. About High Road Artisans in Truchas. Art, music and lively conversation transformed the space into “Arti Gras” in the community room of Leawood City Hall, where I’ve taken yoga classes. 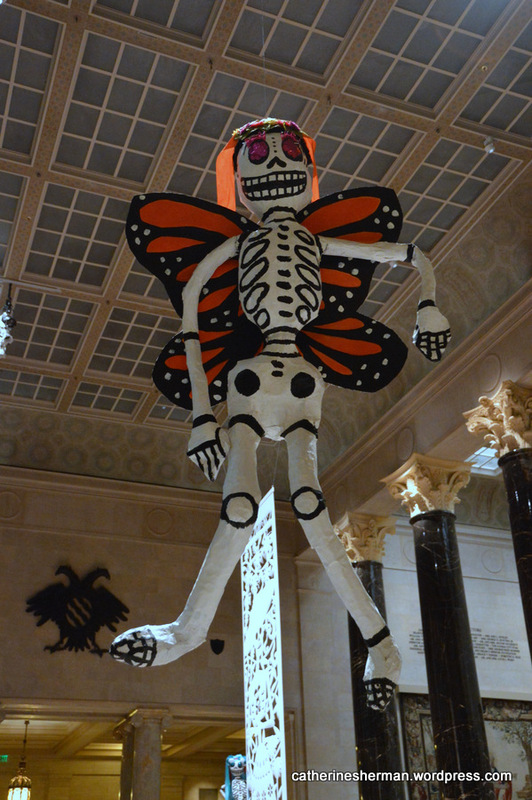 In the slideshow below are photographs from the opening night gala on Feb. 21, 2014. It was Leawood’s third Juried Art Show. 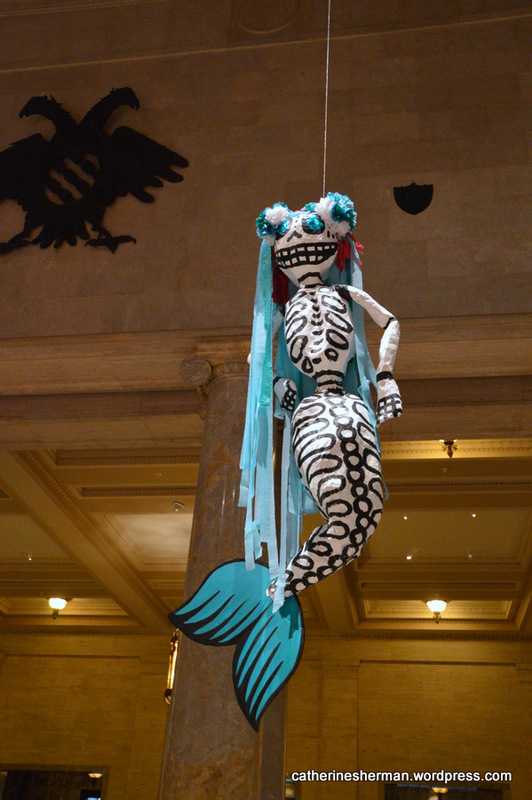 The opening night art show featured a Mardi Gras theme in decor and food. The Dixieland Jazz Band “12th Street Revue” and magician Barry Nelson entertained the crowd. Another gallery featured children’s art. The Leawood Foundation presented the show, with the support of the Leawood Arts Council. I went with my friend Lynn, a talented photographer. There were many great artworks in the show I didn’t include in the slide show, partly because of reflections on the glass, but you can see all of the artworks if you click on the link under the slideshow. Next year, plan to to attend so you can enjoy the work in person. I’m thinking of entering some of my photographs for the 2015 show. Watch this space to see whether I follow through with my plan…Lynn will give me a nudge or three, as will Sharon, a photographer friend who was at the show, too. I hope they also enter! To see the artworks in the 2015 show, click on Arti Gras 2015 Art Gallery.